Halloween is right around the corner, and since I am considered to old to Trick or Treat I usually watch horror movies on Halloween. I usually try to mix it up with some classic horror movies as well as really, really bad horror movies. To make my Halloween Horror movies even more interesting I top it off with some pizza, good beer, and friends. This list is what I will be watching this Halloween. 1. The Stuff (1985) : A hilarious not so scary horror movie about an ooze that tastes so good two gentlemen decide to market it as ice cream. The only draw back is that it turns people into mindless zombie-like creatures. 2. 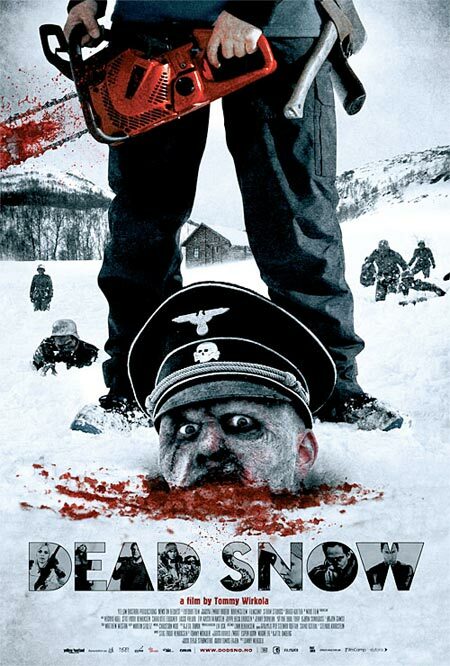 Dead Snow (2009) : A group of Norwegian medical students go on an Easter Holiday to a ski cabin in a remote location near Øksfjord, Norway. Only to find themselves being hunted down by a sinister evil: Nazi Zombies. 3. 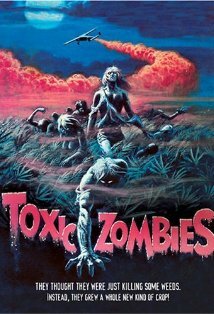 Toxic Zombies (1980) : Another horribly good horror flick. A hippy marijuana crop is sprayed with a government chemical to kill the plants. The hippies accidentally get sprayed and turn into hippy zombies! They roam around the forest attacking unsuspecting campers. 4. 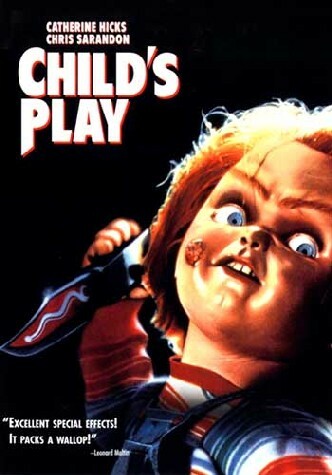 Child’s Play (1988) : A child, Andy Barclay, gets a good guy doll for his birthday from his mother. It turns out the gift was much more than both of them bargained for. The doll is possessed by the soul of a serial killer, Charles Lee Ray or Chucky. Even in the form of a doll the serial killer can’t stop his need to kill. 5. 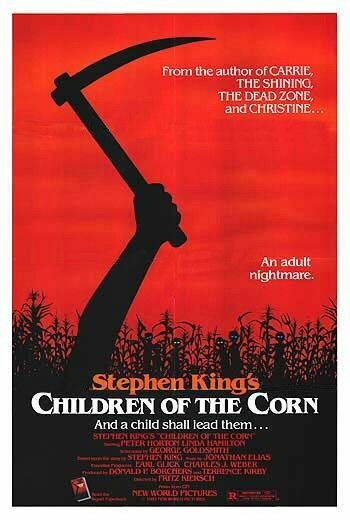 Children of the Corn (1984) : A young couple find themselves trapped in the town of Gatlin, Nebraska while on a road trip. They find that the town is deserted and all the children in the town are controlled by a child named Issac. Issac has convinced the children to murder all of the adults in Gatlin. Will the young couple make it out alive? 6. 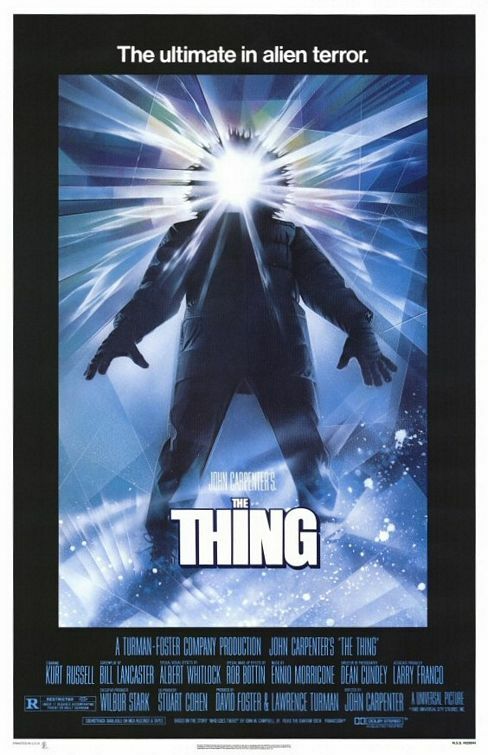 The Thing (1982) : Scientists in Antarctica find an alien life form that can take the shape of anything it kills. While trying to find out which one of them the alien has taken over, they find themselves turning against each other. 7. 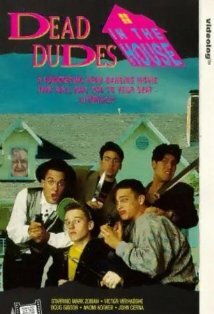 Dead Dudes in the House (1991) : Eight friends go to fix up an old house and turn it into their party house. They are unaware though of the house’s haunted past. Once inside they find themselves stalked by the spirit of the old woman who lives there. The house locks them in, and as the old woman kills them off they soon find themselves being stalked by their recently deceased friends. 8. Dead Alive (1992) : Lionel’s mother is bitten by a Sumatran Rat-Monkey. She gets sick and dies, only to come back to life later. She begins killing and eating dogs, nurses, friends, and strangers; turning them into the undead. Lionel is soon overwhelmed with zombies and has no other option but to fight back. 9. Maximum Overdrive (1986) : When the earth passes through the tail of a mysterious comet, the green gases given off by the comet make machines come to life and turn homicidal. Some survivors trapped in a truck stop by, you guessed it; homicidal semi-trucks try to devise a plan to stop the machines, before the machines can kill them. 10. A Nightmare on Elm Street (1984) : A child murder, Freddy Kruger, stalks the children of the parents who killed him years before on Elm street. Only they can’t see Freddy because he stalks them and murders them in their sleep. Whatever you do, don’t fall asleep…or you’ll meet the terrifying Freddy. If you choose to watch, hopefully you’ll enjoy these frightfully horrific horror films…don’t get to scared! This entry was posted in Holidays, Movies and tagged A Nightmare on Elm Street, Child's Play, Children of the Corn, Dead Alive, Dead Dudes in the House, Dead Snow, Ghosts, Halloween, Horror, J, Maximum Overdrive, Movies, Murder, Nazi Zombies, October 31, Scary, Sci-fi, Stephen King, Suspense, The Stuff, The Thing, Thriller, Top 10, Toxic Zombies, Troma Films, Zombies. Bookmark the permalink. Want to see more top 10 Halloween Movies? Check out our Volume 2 post!! Don’t forget to check the comments for our reader’s suggestions!